You can rely on us for all the online and offline transactions, we have stringently made payment logs to make sure that no misunderstanding or inconvenience arises. Owing to our renowned name, we are considered as one of the trusted Suppliers of Pain-O-Soma Tablets. 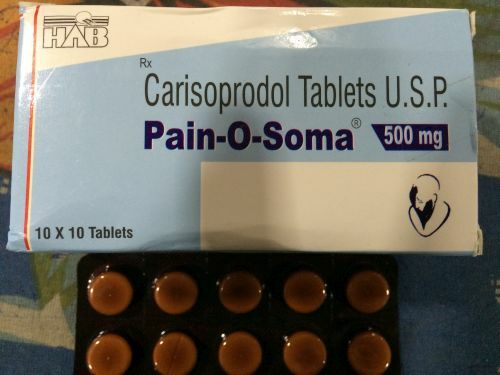 Pain-O-Soma Tablet is a muscle relaxer that blocks muscle and injury pain sensations between the nerves and the brain.